Dr. Razmzan, who is board certified in obstetrics and gynecology, received his bachelor of science degree from the University of Houston, Texas. He was awarded his medical degree from St. George’s University School of Medicine in Grenada, West Indies. He completed his residency in obstetrics and gynecology at New York Medical College. He has been in private practice with Southern Westchester OB/GYN Associates in Yonkers since July 1987. He is the current director of the Department of Obstetrics/Gynecology at St. John’s Riverside Hospital. He is a Fellow of the American College of Obstetrics and Gynecology and has been recognized numerous times by Westchester Magazine. Dr. Razmzan is fluent in Farsi as well as English. He joined Westmed Medical Group in May 2016. I have been a patient of Dr. Razmzan's for the past 28 years - he is a wonderful doctor with the best bedside manner of any doctor I have been to in my life. I love and respect my health care provider, Dr. Razmzan. he has been my doctor for 30 years and has provided me with the best care. I could not ask for a better doctor. *Dr. Razmzan is the best caring doctor. Dr. Razmzan is the best. So patient and knowledgeable and kind. I recommend him to every pregnant lady I know. Dr. Razman is an excellent doctor. He conducts himself in an extremely professional manner. He is very knowledgeable. He is very attentive and accommodating he answers all of my questions and concerns .He spends an amble amount of time with me and I never feel rushed. 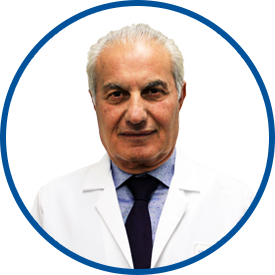 Dr. Razman is one of the best doctors I have and I recommend him to my family and friends. He is an asset to the medical profession. He is the best, amazing doctor have already recommended him to family and friends ! Raz is WONDERFUL. Such a great doctor! I will recommended it to anyone. Dr. Razcman makes you feel comfortable and takes the time to talk to you about any concerns. I have been a patient of Dr. Razmzan's for 28 years. He is one of the most kind, compassionate and caring doctors that I have ever met. He patiently answers every question, addresses every concern and takes as much time with you as needed - you never feel rushed. On top of all that, he also has a wonderful bedside manner. Dr. Razman is wonderful! I have been seeing him for many years and am thrilled he is now part of the Westmed Group!